View Floor Plan Affordable Luxury! Great Curb Appeal! 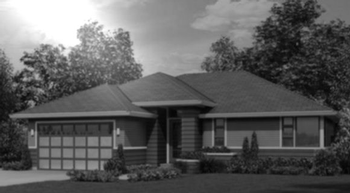 Outstanding value, great curb appeal, and luxurious interior come together in this affordable single story. You'll love entertaining in this well thought out floor plan that features 3 outdoor patios! Wood and stone details enhance the elevation of this beautiful home. The Great Room features abundant windows that bring natural light to the room plus a modern style fireplace. The Kitchen is designed for efficiency and comfort. The Master Suite is definitely a place to relax with its easy access to the rear patio. Two comfortable and private Bedrooms share a bath. This well-crafted plan with great curb appeal offers a lot of attention to detail. The modern Kitchen features a large prep island and pantry plus easy access to the rear patio for entertaining. The nearby Dining Room opens to the fabulous Great Room. The private Master Suite features a well-designed bathroom plus access to the rear yard. Two family bedrooms share a bath and are tucked away for a sense of privacy. 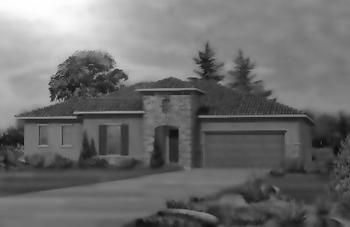 A towering entry is set off by stone and stucco details on this beautiful and affordable single story. Large windows in the Great Room and Dining Area offer expansive views. The Great Room is further enhanced by a stunning fireplace and is open to the island Kitchen. The well-designed Master Suite is tucked away from the other rooms for a sense of privacy. You'll love all the feature this home offers plus the great curb appeal! This design offers several front elevation designs. Great Room plus Flex Room! A truly remarkable Great Room designed for today's active lifestyles. 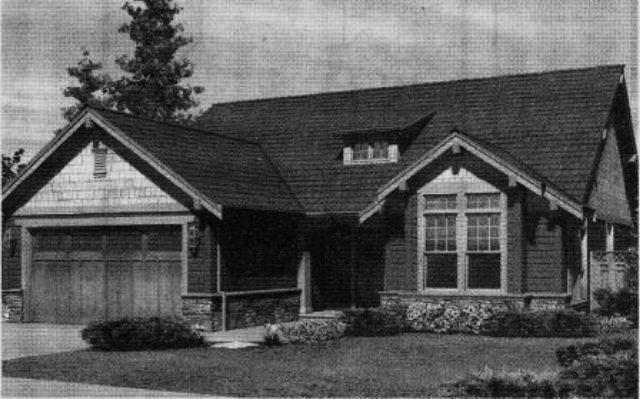 The warm and friendly exterior of the Hearthstone was created by combining stone and siding with unique features like; board and batten, angled stone corners and carriage style garage doors. This thoughtful grouping creates a facade that has the cottage-like appeal that so many homeowers are seeking. The entertainer will love how the Great Room, Dining Room and open Kitchen are conveniently grouped together for easy interaction. An affordable home the whole family will love for everyday living.